Fleecs Design: Amazing Las Vegas! My Little Pony Friends Forever #9! More! Amazing Las Vegas! 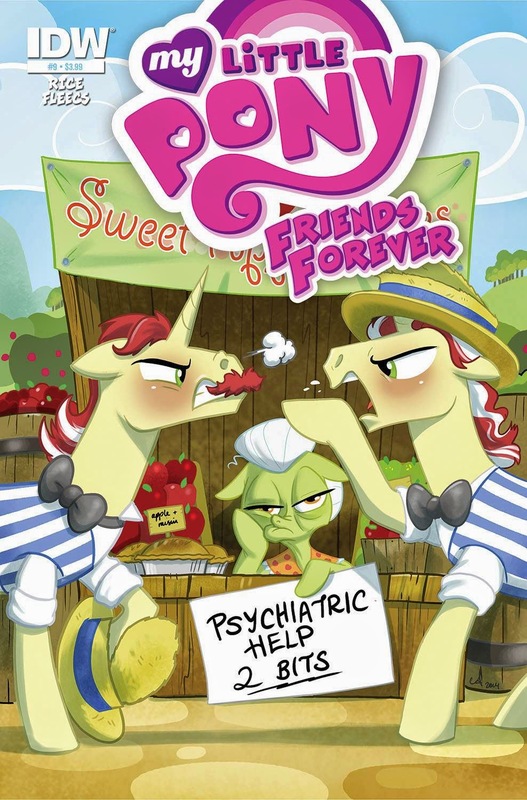 My Little Pony Friends Forever #9! More! *My Little Pony- Hour of Power with artist Tony Fleecs- from 1-2pm on Sunday January 26, MLP artist will sketch your favorite Pony- From Rainbow Dash to Twilight Sparkle, and more! Better line-up early as this offer is extremely limited, good for kids 10 and under. My Little Pony Friends Forever #9! Written by Christina Rice! Drawn by Me! Cover by Amy Mebberson! Colors by Heather Breckel probably! Granny visits an apple convention and is dismayed to see the Flim Flam brothers are up to their old tricks. Only the two are no longer working together... something has divided the brothers! It will be up to Granny to mend hurt feelings. But will she want to? Ok! That's it for now. See you guys in Vegas. Or at SDCC or Bronycon or Stockton Con or any of the other shows. And if you can't make it out I'll see you in the funny papers.